Who is Shane Boyce and why is he qualified to teach Horticulture and Bonsai? Shane is a qualified and experienced Horticulturalist (since 1984) and Horticulture Teacher. He is Japanese accredited with Advanced Certificates in Bonsai from the Bonsai Art Academy (Nippon Bonsai Saikei Art Institute Tokyo, Japan) he has been passionate about Bonsai since the early 1990’s. He ran the Perth Bonsai Studio (in Perth W.A.) for 13 years before relocating to Tasmania and starting the Bonsai School of Tasmania in 2013. Shane has been qualified in Horticulture since 1984 and worked hard at establishing a successful Horticulture business in Perth, Western Australia. In 2007 he relocated to Launceston, Tasmania where he continues to work in maintaining large, heritage style gardens. His clients include The Stone House (Perth), Entally Estate (Hadspen) as well as a few select private clients. He was an active member of the Perth Bonsai Society for many years and successfully managed his own studio – The Perth Bonsai Studio – where his entertaining demonstrations and workshops were popular with club members. 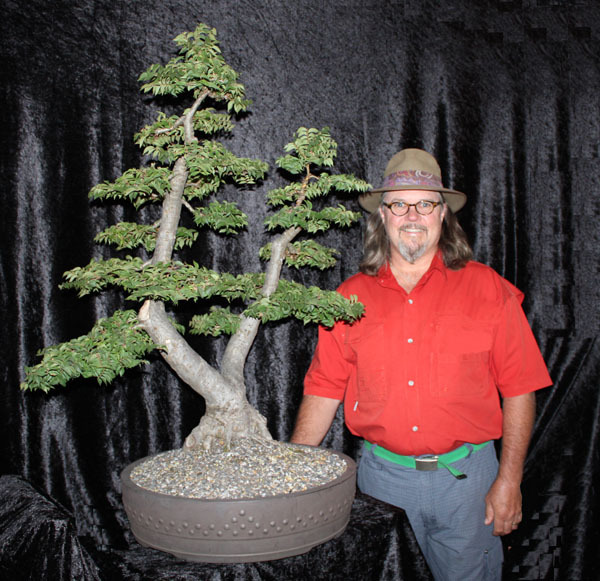 He has co-ordinated and participated in numerous State and National Bonsai Exhibitions & Demonstrations. His dream is to pass on his years of experience & knowledge and to educate a new generation of Bonsai enthusiasts. He also loves Classical Music, Opera and Barramundi fishing in Far North Queensland, sometimes all at once – what a combination! !